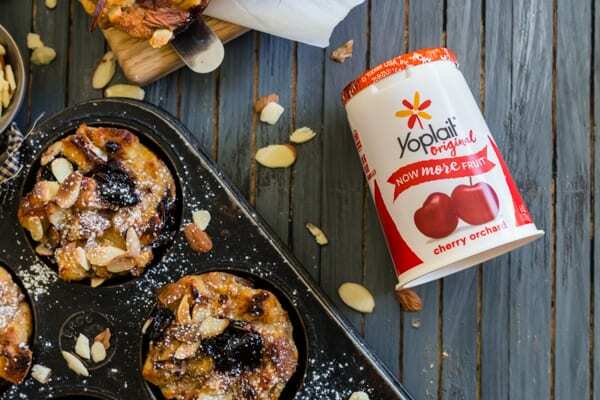 These cherry yogurt French toast cups are a delicious way to start your day. Made with cherry yogurt, almonds, and a quick cherry jam. You’ll love the way the way they taste and love how easy they are to make. You can even prepare the jam the day ahead! Disclosure: This post is sponsored by Healthy Aperture Blogger Network and Yoplait yogurt. All opinions and thoughts are 100% my own. I have a love-hate relationship with breakfast. I love eating breakfast when someone else makes it for me and I rarely find myself with enough energy to make it on my own. I’m not a morning person. Never have been. Never will be. I mean, I love how when you get up early and you do a few things and then realize you have the WHOLE day left but that is not enough to make me want to get up at 6 am each day. I’d rather sleep until 8 am and stay up until 1 am. I’m sure the fact that I do not have kids has a lot to do with my night owl status BUT I’m pretty sure this is engrained in my personality. BUT if you throw brunch in my face I will be there in my fancy Saturday clothes ready to eat ALL. THE. FOOD. 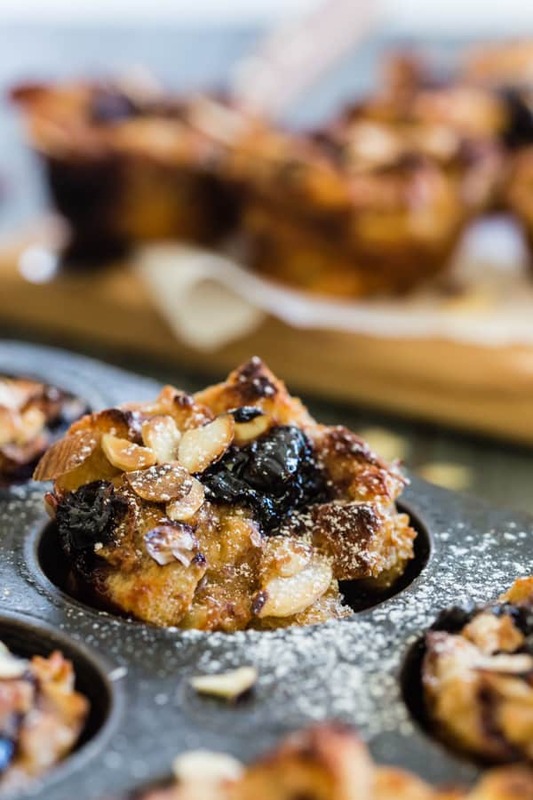 These little cherry yogurt French toast cups are the perfect breakfast and brunch meal. In fact, they are super family friendly and party friendly. PLUS they are made with Yoplait® yogurt which has made their traditional yogurt even better by adding MORE FRUIT! The best part about fruit yogurt is the fruit so adding even more fruit is THE BEST NEWS EVER! 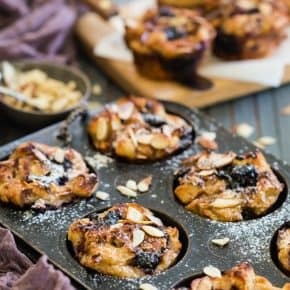 Now, these cherry yogurt French toast cups are packed full of cherry flavor not just from the cherry orchard yogurt BUT from the homemade cherry jam center. So. much. flavor. I also added a little touch of almond because cherry and almond are one of the best food combos. 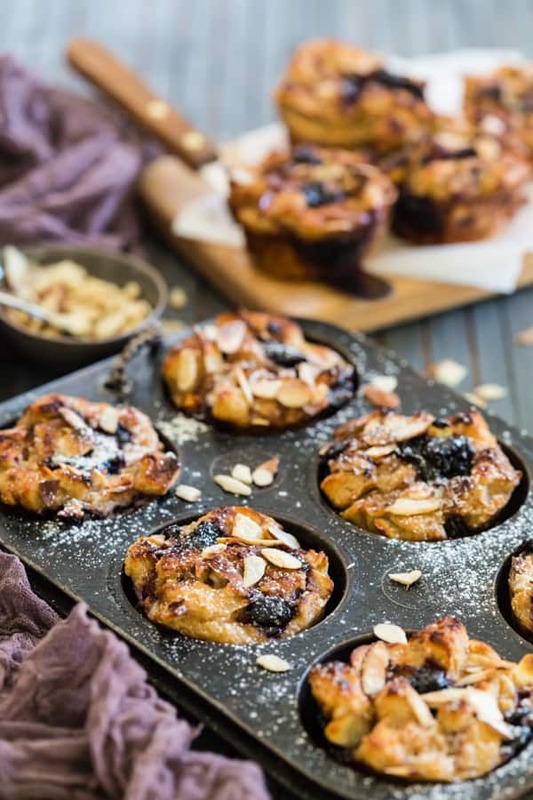 These cherry yogurt French toast cups are a delicious way to start your day. Made with cherry yogurt, almonds, and a quick cherry jam. You'll love the way the way they taste and love how easy they are to make. You can even prepare the jam the day ahead! Add all ingredients to a medium sized pot and simmer over medium heat. Cook for about 30 minutes or until cooked down and thick. Jam can be made the day before. Preheat oven to 350 degrees and spray a 12-count muffin tin with non-stick spray. In a large bowl add eggs, milk, yogurt, vanilla bean paste, almond extract and kosher salt. Whisk to combine. Add in the bread and toss to coat. Let the mixture sit for about 5 minutes so the bread has time to soak in the milk. After resting stir in the almonds. Add bread mixture into the prepared muffin tin and fill each one about half full. Place about 1 tablespoon of the cherry jam on top of each cup and then top with remaining bread mixture. Bake for about 35 minutes or until fully set. I can’t wait to make these tomorrow for brunch!! They are fantastic!! These sound amazing, and look even better! I love all the ingredients and look forward to giving these a try! WOW! This is what I want to breakfast tomorrow! 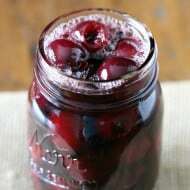 I just have some cherry jam. I’m a morning person so these are right up my alley! Oh this looks so tasty! I can’t wait to try them out! Oh my! 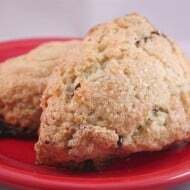 I have to make these for breakfast soon! They look amazing! I love anything I can cook in a muffin tin. Helps me to not over eat. Yummy! These french toast cups seem so delightful, Brandy. I can easily have them for breakfast and start the day in the best possible way. 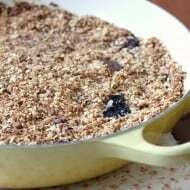 Is it possible to use agave syrup rather than maple syrup?